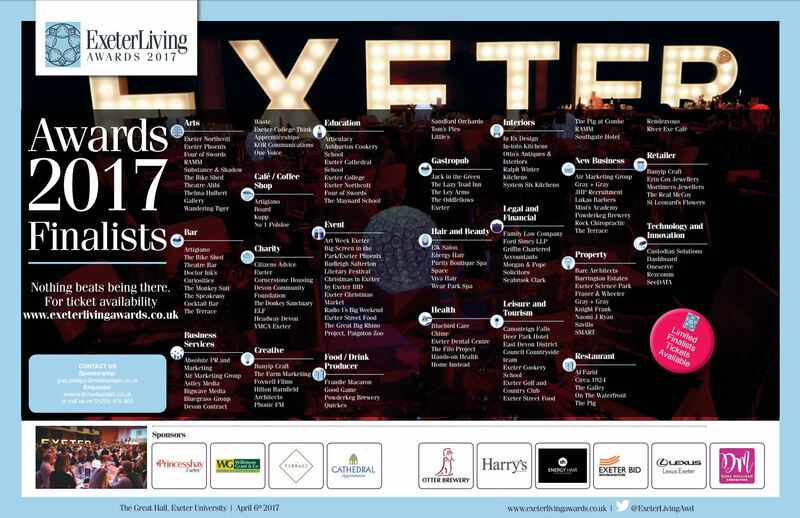 Shortlisted for the Exeter Living Awards 2017! We’re proud to announce In Ex Design have been shortlisted in the Interiors Category for the Exeter Living Awards 2017! In Ex Design are honoured to have been recognised from companies across Devon amongst some of the best of Exeter’s businesses! 2016 has been a stand out year for In Ex Design which has seen our Architecture & Interior Design team grow as the company expands accepting a number of substantial residential projects and one-off houses. We delight in producing designs that go well beyond expectations. Our clients want creative flair, expertise and exacting standards from their Designers.